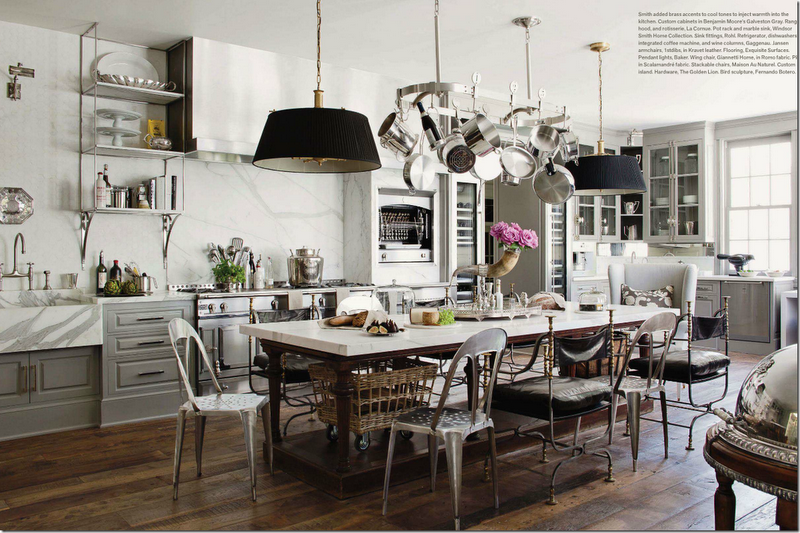 Which tells me they are simply wonderful kitchens! 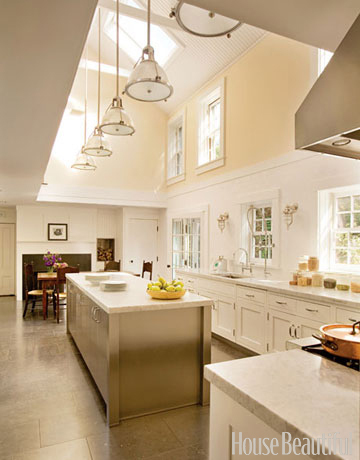 Designing your kitchen is perhaps the most important room in a home renovation. 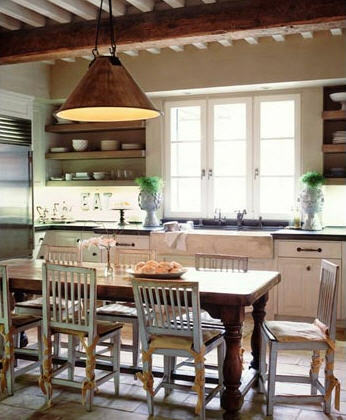 How many houses have you walked into, whith a great kitchen and it just makes your heart skip a beat! Grey is definitely on the list! 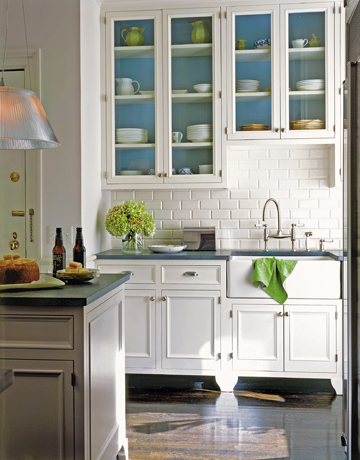 still going strong...just ask your cabinet maker! 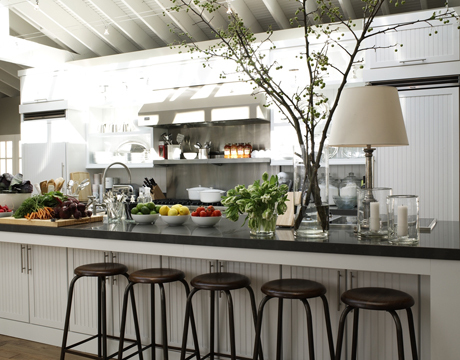 Who doesn't still love Ina's kitchen? Let's have a cup of coffee together ! I'm definitely thinking along the same lines as you obviously are because I really love all these photos you've posted. 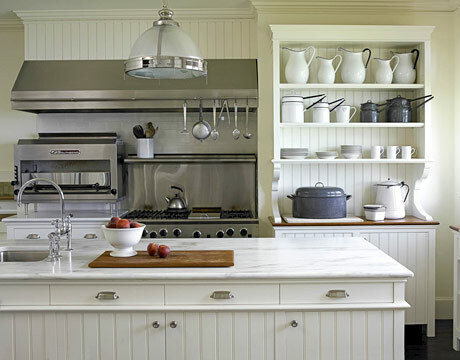 I love the kitchens with few or no upper cabinets, but I have to think you have to have a pretty big kitchen in order to have enough room for storage in just lower cabinets (or a nice, big butler's pantry around the corner). Sadly that's not an option for me. i just can't see doing without upper cabinets unless i have huge storage area another place in my home.....now if building and could afford exactly what i love that would be great....all the kitchens you picked out are just beautiful.....but a kitchen isn't something you just wake up 1 day say oh that trend is out i need to change my kitchen and write a check out for 10,000 plus least not in our economy...so i would have to think of the long haul what i would have for many yrs......i know your pick a lovely kitchen i have followed you a long time and your style is just fantastic....i am anxious to see the results!!! I agree Chris! It is always a struggle to do what is practical and yet not get too caught up in trends....thanks so much! thanks Erin...A butlers pantry is an added bonus! 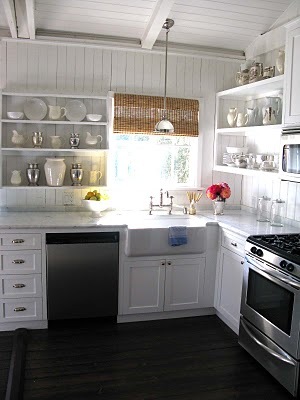 My big project for our home this year is to paint our oak kitchen cabinets white and reno the island to possibly grey. 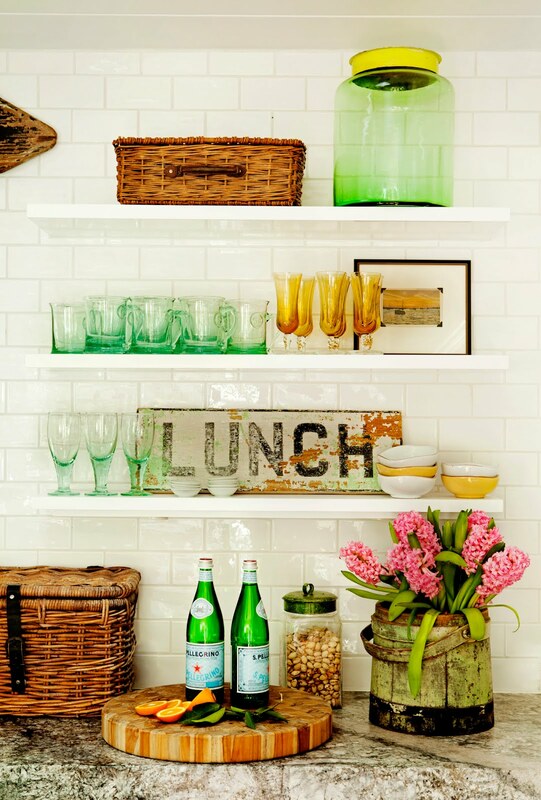 I've added some of your inspiration photos to my file! thank you. I love every option here. I think my favorite might be the one with the metal cow, but I'd choose a different door style. 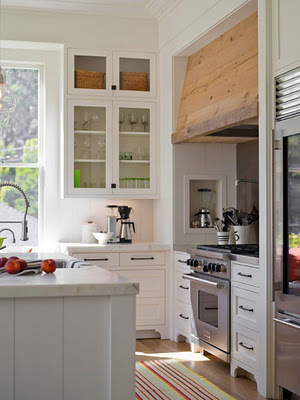 I love the idea of a kitchen without upper cabinets, but I don't think I could do it. 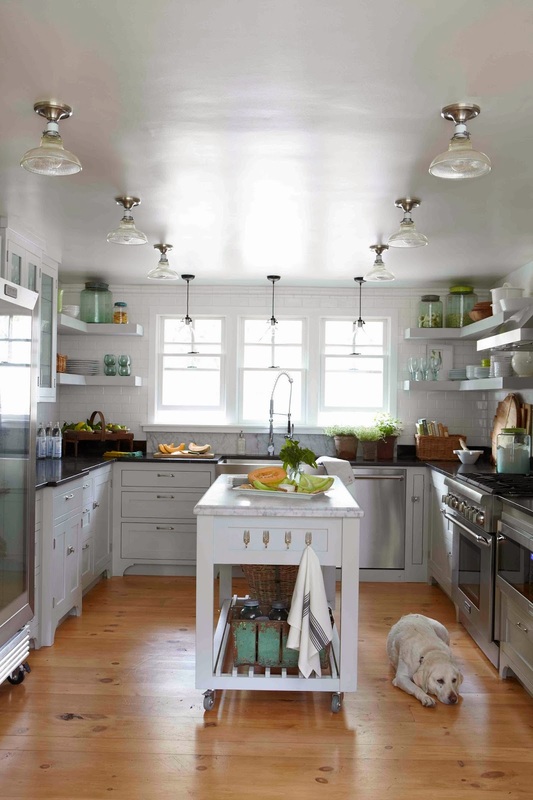 I imagine a lot of dusting involved without upper cabinets, which for me would involve a ladder to get to the upper shelves! Esthetically I'd love it though! Oh my....I love them all! I know whatever you decide will be PERFECT! 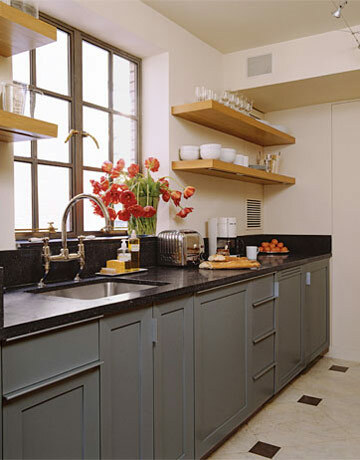 ...do love the gray lower cabinets tho! 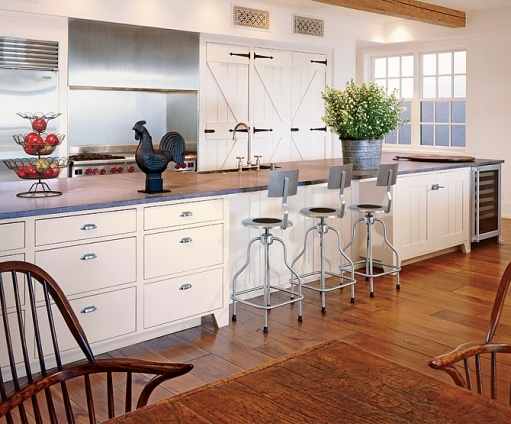 my favorite is the kitchen with the cow weathervane on the counter! What a variety of kickspace options, and some have no kickspace (which means my back would kill me). I have Pinned several of these, thank you Kelley! So much eye candy. And there is no way I could choose just one, there are aspects of each of them that I love. 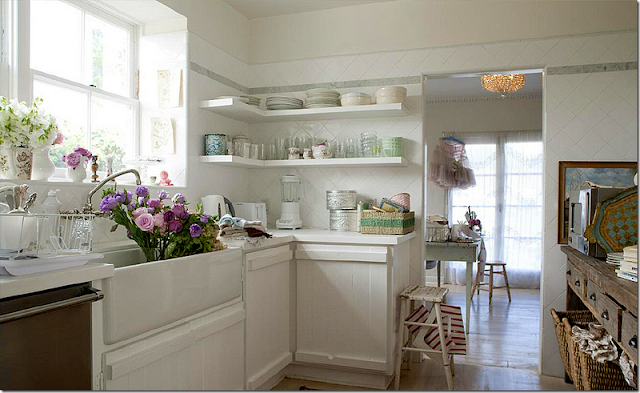 The 8th photo from the bottom was one I used as inspiration for my own kitchen, especially the hutch cabinet! Love all these images. 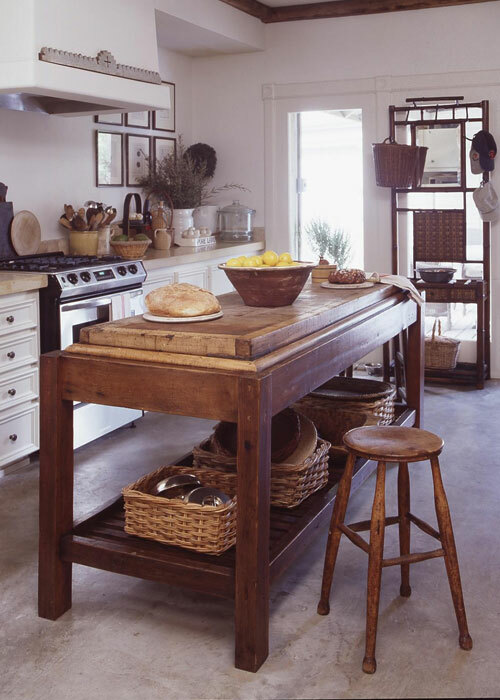 We did a post on industrial meets country kitchens. You might enjoy it. .....these are stunning.....the grey one is my favorite! 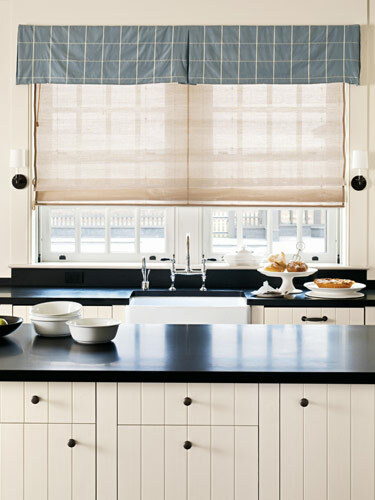 Wow, I love every single kitchen you posted! They all have such ease and charm. I can't wait to see what you come up with! I had to go back and check which kitchen had the cow! 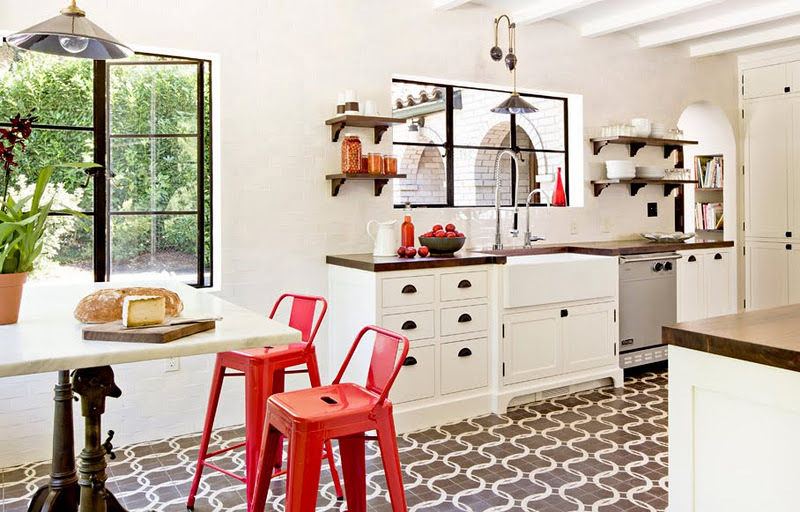 Kelley, your kitchen in your previous home could stand toe to toe with any of your inspiration photos...so I know that whatever you decide will be fabulous! Gorgeous inspiration photos! So many of my favorites, and a few new ones, too. Thanks for sharing. 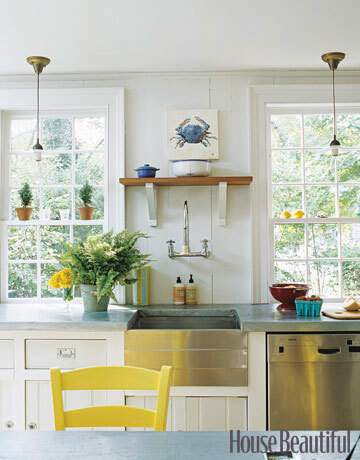 As i am amidst a kitchen remodel, I love this post. I can't choose one favorite. 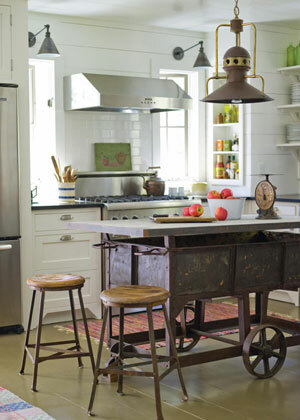 I love the wood floors, white walls, stainless with industrial pendants and tolix stools. I wish I had the space most of these do. 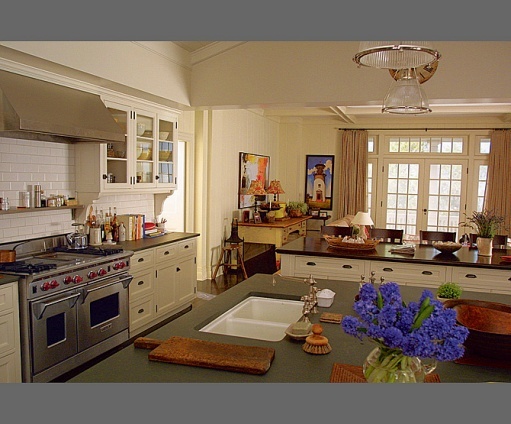 But I will make the most of the kitchen I have :) Thanks for images. Those are gorgeous - all of them. 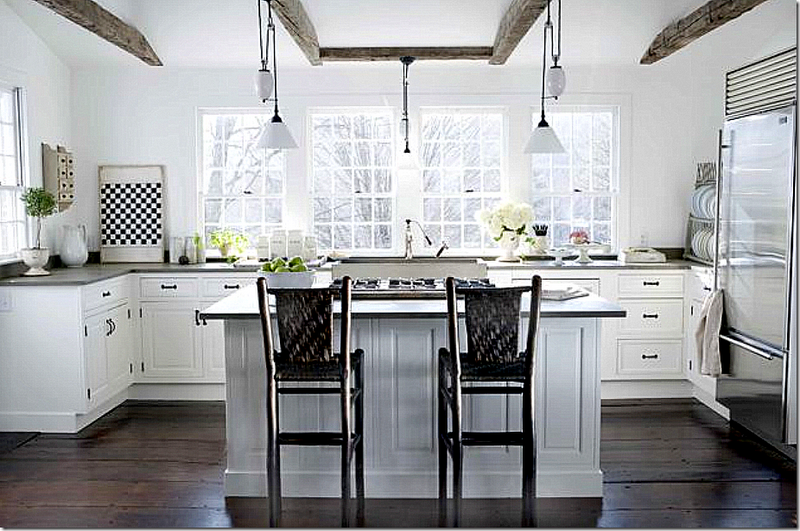 Lots of white and gray and very crisp kitchens. The black mullions/muntins are certainly becoming popular. all fab choices....love them all! Love them all! 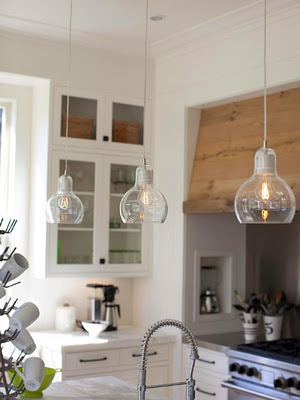 I am changing a few things in my kitchen...not a complete redo, so I appreciate all the ideas! 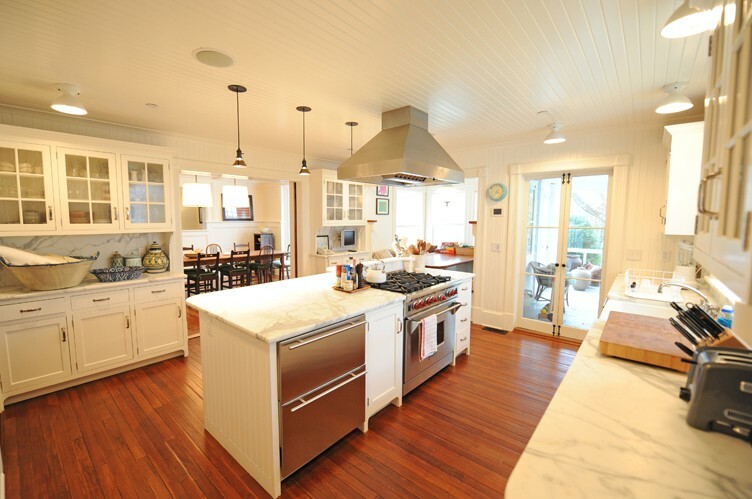 My favorite kitchen is from your old home in Corona Del Mar! Happy Monday to you! Although its Tuesday now! 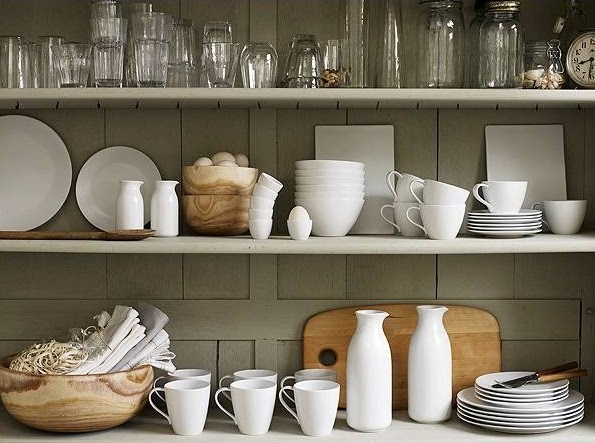 I think you will want some open shelving. I feel lucky with our kitchen right now as it incorporates many of the elements you show. It IS the heart of the home! 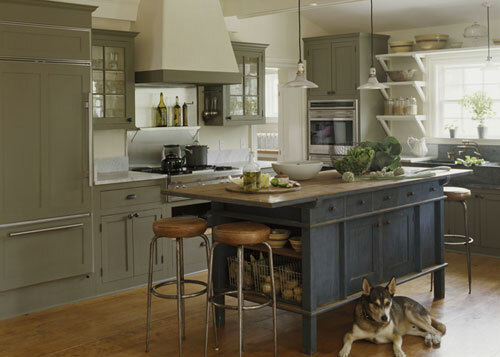 This is the best post I've seen in a long time...maybe because it speaks to me as we think about our Connecticut kitchen. I've seen many of these images, but many are new to me and I will be pinning away. Our current kitchen is a smaller version of Ina's and I love it. 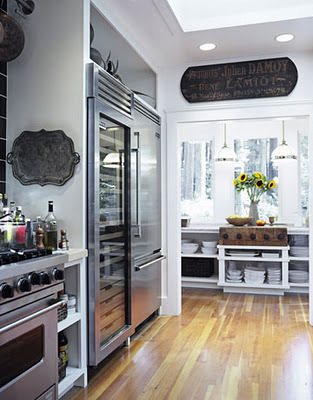 What I love most...open cabinetry and my sub zero, one all refrigerator, one all freezer on each side of range/open shelving. I think I would be happy with any of these kitchens. Can't wait to see yours...it will be fabulous, no doubt! So many fun kitchens...and LOL!!! 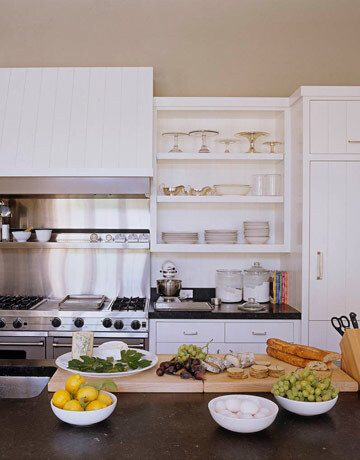 A couple of your country kitchens are by my old design partner in Santa Barbara and best buddy Jessica Helgerson who's now in Portland! (the one with the red stools..) Small world. 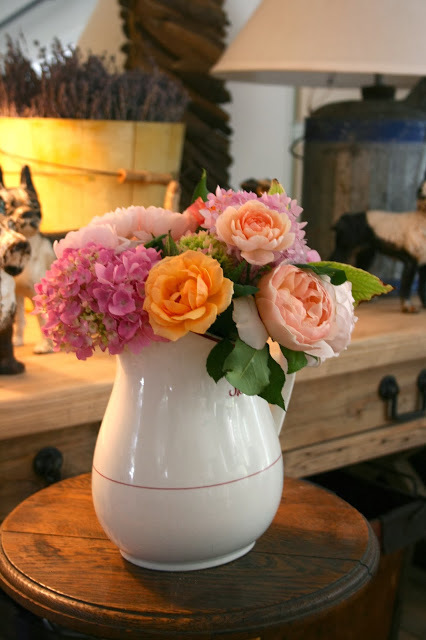 : ) Are these inspirations for Ojai? 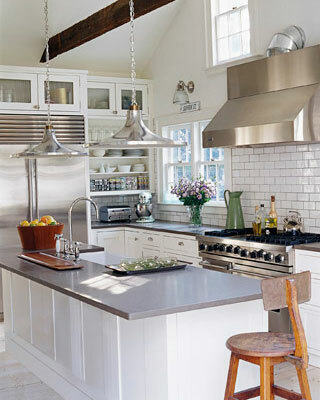 I am going to make some small changes in my home, some new white subway tile, stainless steel appliances, etc. "Definitely Not Boring" one, thank you! 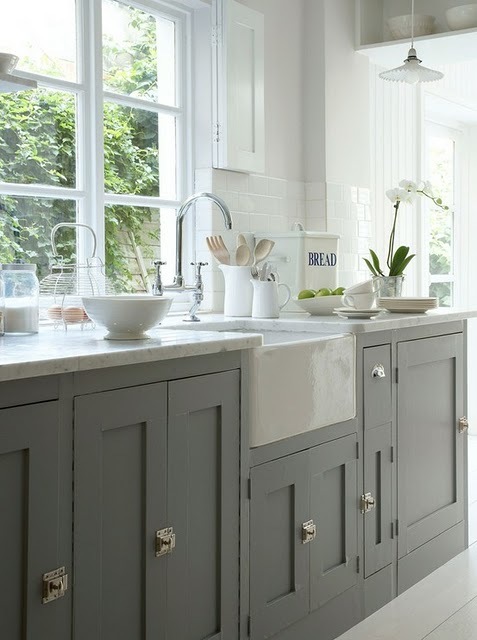 I have to admit I'm quite glad that renovating our kitchen isn't on the books anytime soon. There are too many options I love and I know it will take months of planning. These are all beautiful inspiration pics though! So many wonderful inspirations! 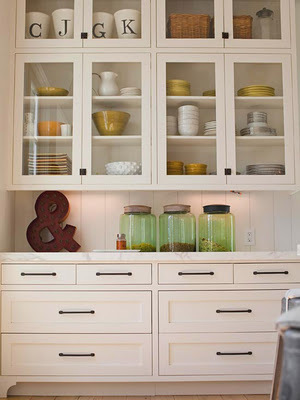 I love the idea of only lower cabinets with some hanging pots, open shelving if you have the square footage! 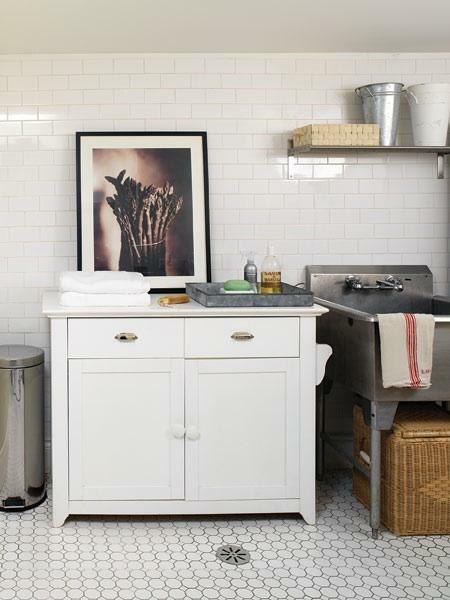 But I am short and forever getting a stool out to get something from my upper cabinets! The best design is the one that "works" for you! I've been browsing online greater than 3 hours lately, yet I by no means discovered any fascinating article like yours. It's lovely worth enough for me. In my view, if all web owners and bloggers made just right content material as you probably did, the web will probably be much more helpful than ever before. Thank you for publishing these beautiful photos.